The IRS Is Still Targeting Conservatives! The political targeting of Americans violates our most basic rights. In a stunning abuse of power, the IRS has been targeting the donors to conservative political organizations for audits, according to a report by the Washington Free Beacon. The documents released via a Freedom of Information Act request as part of an investigation by Judicial Watch show that the agency specifically singled out individuals who gave to groups with words and phrases like "tea party" in their name for audits. This is a continuation of the scandal that began in 2013, in which the agency targeted the groups themselves. At that time, Lois Lerner took most of the heat for the targeting, with officials claiming it was an isolated incident that didn't go any higher up. Clearly, that was not the case. The fact that this sort of thing goes on in our government is an outrageous assault on our most basic liberties. America was founded on the idea that we should be free to express our political opinions without the government punishing us for them. This was an important distinction to draw from previous autocracies, where dissent from the ruling class could land you an indefinite stay in cold, dark cell. It has not yet gotten that bad in America, but the idea of using government power to to intimidate, bully, and harass those of us who think that the government has grown too large and oppressive, apart from proving our point, should offend any American who values the freedom of expression guaranteed by our Constitution. This scandal has been brewing for two years now, and still nothing meaningful has been done. Lois Lerner no longer works at the IRS, true, but a low level official falling on her sword to protect her superiors is no longer an acceptable solution. We have to send a message that this sort of corruption will no longer be tolerated in the land of the free. The IRS has spent much of the last two years attacking conservative non-profit groups. Apart from the continuing targeting scandal, there was also a proposed regulation that would have effectively destroyed the ability of non-profits to conduct political organizing. The IRS is supposed to do one thing - collect revenue, not serve as an attack dog for the Democrats against any and all political opposition. 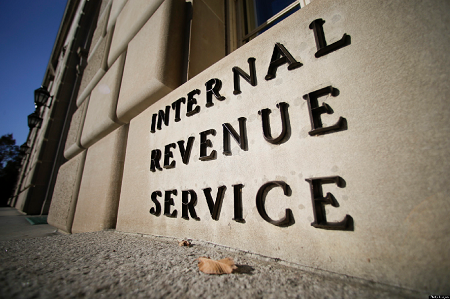 The IRS continues to justify its status as the most hated of all government agencies. The IRS is still targeting a lot of people, mostly conservatives at the moment. We need tax reform in the worst way and the way that is good for America and Americans and not for those who sit in Washington, do nothing constructive and pad their pockets everyday. The only solution to misuse of the IRS and the tax collection system is to replace the payroll/income tax process with the "FAIR Tax." By doing so much if not all of the abuse and the potential to abuse goes away. Some caveats: 1. Replace not in addition to. 2. Whichever form is implemented, to increase the rate takes two-thirds approval in the House and Senate while to lower the rate takes a simple majority in both. Further, it would not hurt to add a Balanced Budget Ammendment that meets specific business principals so that it really is instead of not really based on a fictional reality. An example of fictional reality: Reality is getting 3% interest with an expectation of 5% in comming years but in the Budget the assumption is 10% so that it balances. Nice try but in all reality if they did it was likely only 1% of the total, with 99% of Conservatives. Lawlessness coming directly upon orders from the White House and their liberal ilk on a seek and destroy mission of all things pro-American, pro-freedom and liberty because after all, liberals are control freaks who want to run our lives by micromanaging them. Key members of the House Freedom Caucus are demanding that IRS Commissioner John Koskinen be removed from office. In an op-ed written for the Wall Street Journal, Reps. Jim Jordan and Ron DeSantis told President Obama that if the Commissioner is not removed, they will begin the proceedings to impeach him. Lois Lerner really doesn't want to answer questions about her role in the Internal Revenue Service's targeting of conservative and Tea Party organizations. The former head of the powerful tax agency's Exempt Organization Division refused to testify in front of the House Oversight and Government Reform Committee in May 2013, invoking her Fifth Amendment rights. Precedent is a powerful thing. Once something has been established as acceptable behavior, there will inevitably be a flood of eager followers. That is why trailblazers get all the credit. The brave souls who test the waters, who first go where no one else dares, who push the envelope and set the stage for the rest of us. In many walks of life, such as science, exploration, and philosophy, these people are heroes, pushing mankind forward even when it is dangerous to do so. In politics, however, the trailblazer all too often covers territory that would have been better left unexplored. "The IRS Has a Data Problem"
"No, actually, they just have a lying problem." The government seems to have a data problem. While the NSA has apparently been storing massive amounts of data on innocent Americans deep within its sinister archives, the IRS and the US Census Bureau just can’t seem to keep track of anything. What a difference an acronym makes. "Now that the House has voted to hold Lois Lerner in contempt of Congress, will we finally get answers about the IRS targeting scandal?" Will the Contempt Vote Make Lois ‘Lerner’ Lesson? Yesterday’s vote to hold former IRS official Lois Lerner in contempt of Congress represents another step forward in the ongoing quest to hold the agency accountable for the discrimination it practiced against conservative non-profit groups in the 2012 presidential election.